Learn how to adapt your cinematography and production skills to this growing medium and be part of the movement. 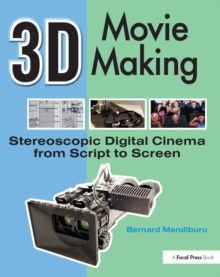 Master the unique technical requirements of shooting 3D stereoscopic images. 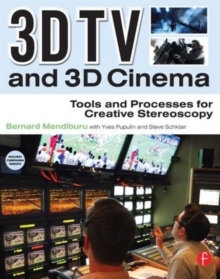 3DTV and 3D Cinema defines the concept of a professional 3D camera system and describes what features are required to make a successful unit to keep your production on schedule and on budget. You will learn how to work with the complex hardware and software systems, with a section dedicated to the specific requirements of shooting for 3D cinema. 3D conversions, keying, and CG processes are analyzed, as well as the essential staging, lighting, set dressing, framing, and camera movement techniques. 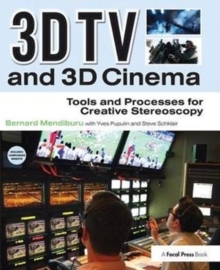 The theoretical knowledge is complemented with real-world examples of 3D TV and cinema productions that are analyzed by crew members or producers.